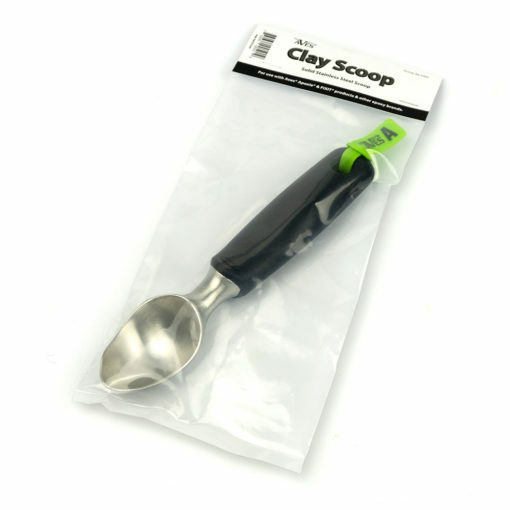 The Aves® Clay Scoop works perfectly with Apoxie® & FIXIT® products, saving your fingers from digging out product from containers. 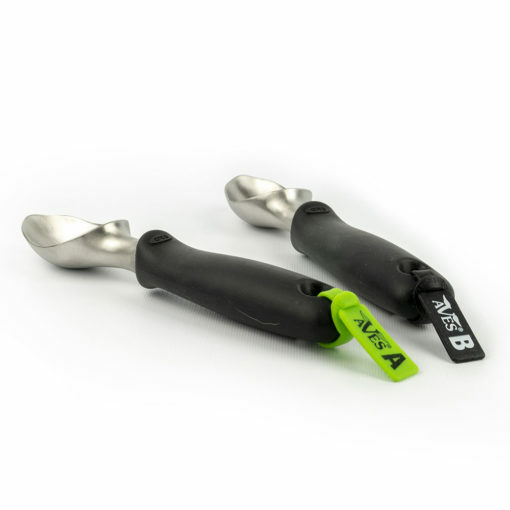 It has a removable silicone tag that designates its use for retrieving Part A or Part B product from the respective container. Be sure to keep product parts A and B separate; do not cross contaminate. 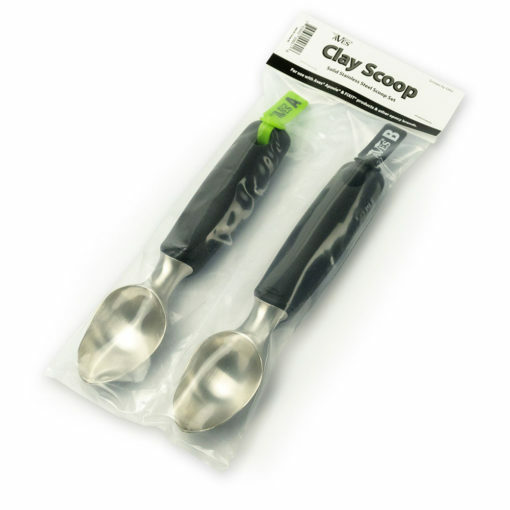 Clean scoops after use. Uncured product cleans up easily with soap and water, or with a couple drops of Aves® Safety Solvent on a paper towel. The scoop itself after it has been properly cleaned is dishwasher safe. Solids stainless-steel scoop won’t chip or discolor. Pointed tip easily scoops product. Flat edges reach into all sides of containers.